Pets are a big part of the Horn family. They have 28 registered dairy goats, 4 outdoor cats and a horse. Deanna Horn is a third grader at Hillsdale Elementary School. Like many 8-year-olds, she enjoys reading books, helps take care of the family pets and her favorite subject in school is art. While Deanna leads the life of an ordinary kid, a significant part of her daily routine is focused around losing weight and learning how to make healthy choices. When Deanna was just 4 years old, she was already being treated for type 2 diabetes and her body mass index, or BMI, reached as high as 37 when it should be closer to 21. Dr. Michelle Levitt and Deanna have become close during their time together in the program. Excessive weight is one of the most significant risk factors for type 2 diabetes, and BMI measures body fat based on height and weight. Since type 2 diabetes can often be prevented or managed through weight loss and increased physical activity, Deanna – and her family – made a commitment to do just that. Deanna started to make an hour-long trip to Akron Children’s Hospital once a month for a 2-hour session with the hospital’s Weight Management Clinic. Working with a team of doctors, nurses, dietitians, exercise physiologists and psychologists, Deanna is learning how to live a healthier, more active life. And she’s making great progress. 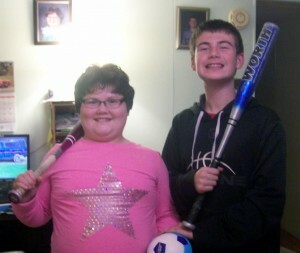 So far, Deanna has brought her BMI down to 33.5 and she no longer needs medication to manage her blood sugar levels. While she still has a long way to go to reach a desired BMI, Deanna says the progress she’s made since working with the clinic makes her “feel good” and motivates her to keep trying. From learning about MyPlate to tips and tricks to reduce sugar, Deanna says she loves meeting with dietitian Katie Dougherty the most. 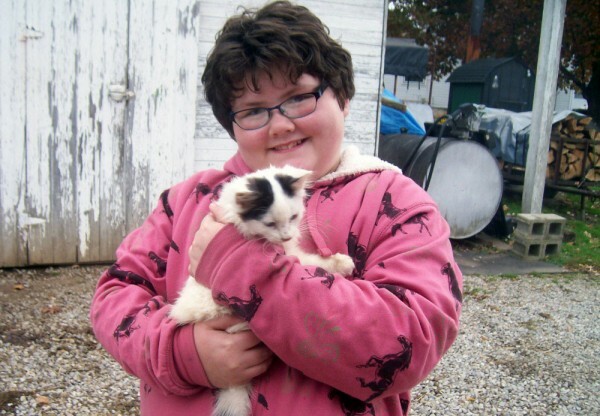 “Since we started, she has grown almost 2 inches taller and she looks thinner,” said her mom, Robin. 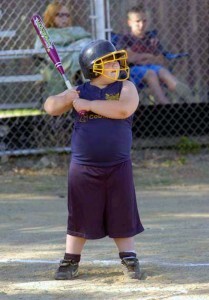 Deanna started playing softball at a young age. The importance of family support and household adjustments are stressed at the clinic. Deanna’s family limits junk food in the house and concentrates on portion control. As part of her exercise plan, Deanna plays football in the yard with her dad and brother, and goes speed walking with her grandfather. Deanna and her mom have set specific rewards for when she reaches her goals and follows her regimen. If she sticks to her plan for 3 months, she’ll get a fun weekend or overnight trip to a water park. “I love it when she makes her small steps in the right direction,” Robin said. One day at a time, with one foot in front of the other, Deanna will meet her goals and earn herself that weekend at the water park. A mischievous older brother helps keep Deanna active too. Use plain yogurt in your fruit smoothies instead of flavored mixes – it cuts the sugar and still tastes great! The Akron Children’s Hospital Weight Management Clinic offers evaluation and treatment for children and teens 5 to 18 years of age who are overweight.